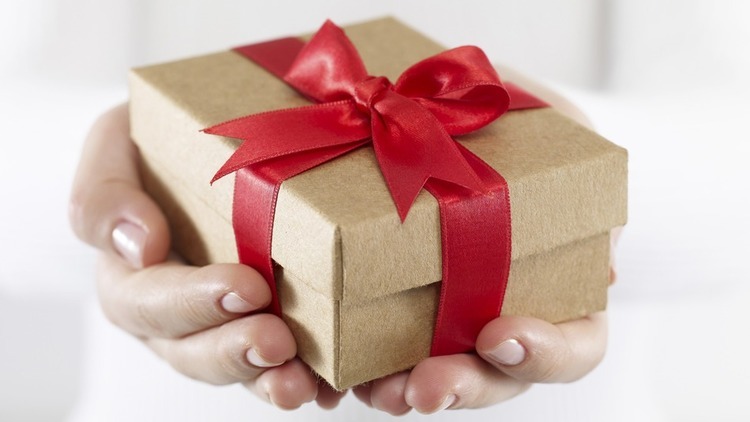 Wouldn't you love to receive a gift packaged like this? It's easy to make with the White Gift boxes and Clear Tiny Treat boxes! You can stamp on the white gift boxes - just be careful to lift straight up when stamping and to give it a little dry time. I added a belly band and some of the gorgeous Real Red ribbon (on sale in Yea-End Closeouts for only $5.10!) 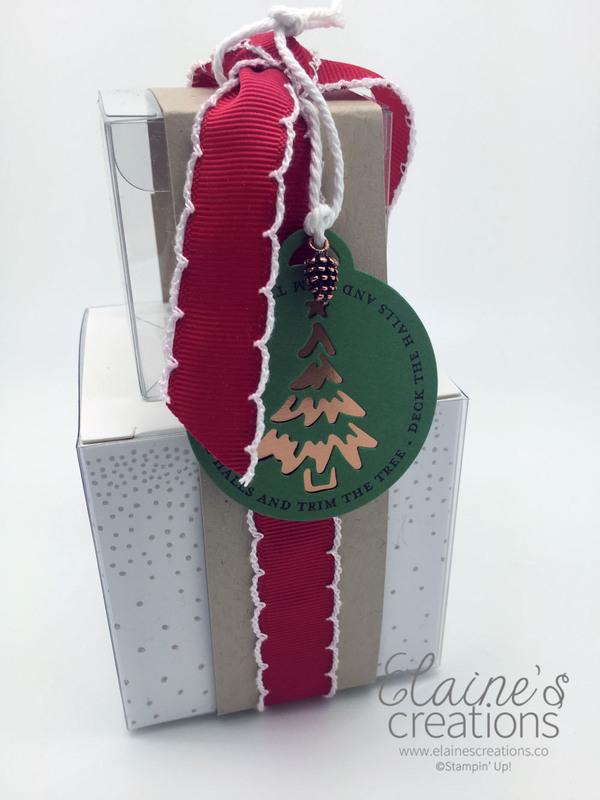 with a Merriest Wishes tag layered with some copper foil and a little pinecone.